New Year’s Eve is right around the corner! While it is likely that I’ll be sleeping when the new year rings in (parenthood does funny things to us), I’m happy to share a free New Year’s Eve SVG I whipped up. Feel free to use the file for commercial use, but you cannot sell the file. Looking for the gorgeous font I used? Find it here. Oh! You don’t have to be able to use any advanced features to access the swirly and curly letters. 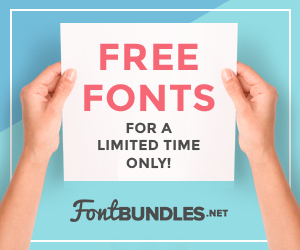 The font comes as 7 separate fonts and is perfect for beginners! Save to Pinterest and download the file below. Christine Thank you for the lovely Kiss Me at Midnight File! Happy New Year to you and the family! My pleasure, Happy New Year!